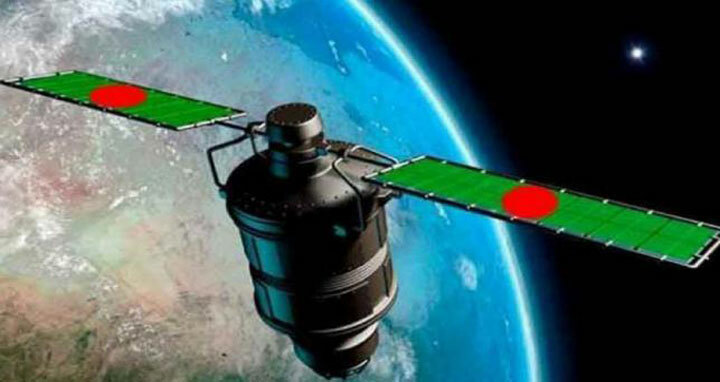 Dhaka, 7 May, Abnews: Bangladesh's first communication satellite "Bangabandhu-I" will be launched to the orbit on May 10, said an official on Monday. "Bangabandhu-I will be launched at 4pm local time (BST 2am Friday) from the Cape Canaveral launching pad in Florida by Falcon 9 rocket of American firm SpaceX," Bangladesh Telecommunication Regulatory Commission (BTRC) Senior Assistant Director M Zakir Hossain Khan told BSS. A "fire test" of Falcon 9 rocket was successfully conducted, he said, adding "after analyzing the data collected from the test, the final date has been fixed." Six officials of the BTRC and satellite project left Dhaka on May 5 and 42 more, including two state ministers and at least six secretaries, will leave today. The Prime Minister’s ICT Affair Adviser Sajeeb Wazed Joy, who is now in the USA, would lead the delegation. The May-7 launch date of Bangabandhu-1 was deferred on technical grounds. It was supposed to be launched in December and the date has been pushed back several times due to unfavourable weather and technical reasons. Bangladesh will be the 57th country when Bangabandhu-1 to be launched into the orbital slot on 119.1 degree east longitude which (slot) was bought from Russian satellite company 'Intersputnik' for US$ 28 million in January 2015.